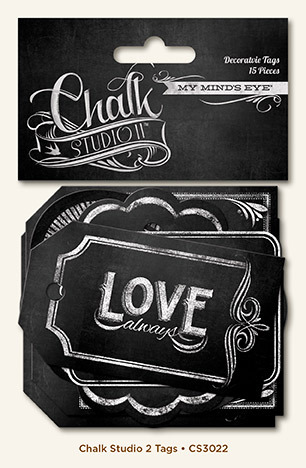 These tags will remind you of a chalkboard! Add them to any project or gift. This package contains fifteen 3-1/2x2 inch tags with different designs and words.